• Achievement: a public education involving 5 igem teams and more than 1000 participants! “Be a world shaper!” Stimulating interests of the youth to be future world shaper is a core purpose of our education part in Human Practice. 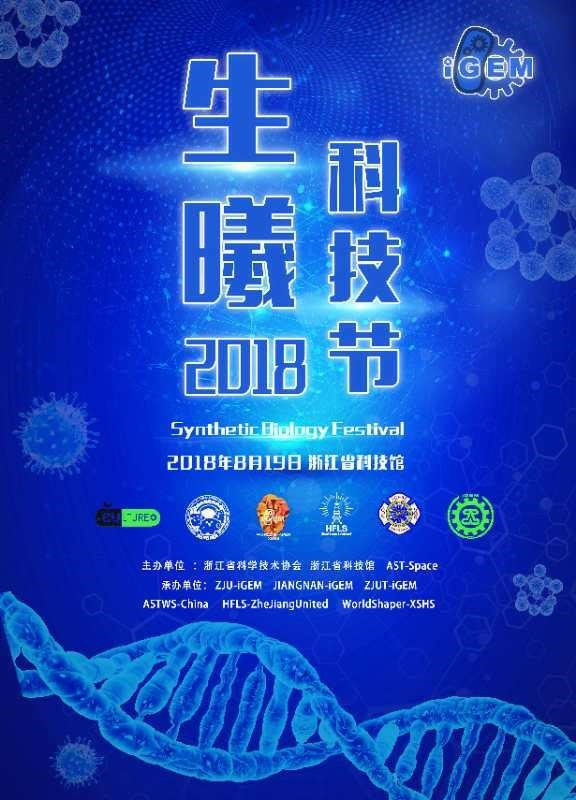 Every year ZJU-iGEM holds Techfest in Zhejiang Technology and Science museum since 2015. Particularly in this year, we invited ZJUT-China, JNU-China, ASTWS-China, HFLS_ZhejiangUnited and Worldshaper-XSHS to co-organize the Techfest. We always believe education should be directly applied to students in every age, from kids in primary school to youth in collage, even to the adults. Such a popular scientific activity was a fantastic opportunity. We delivered speeches about synthetic biology and introduction of our project. We designed several minigames such as Candy DNA Model Splicing, Ecological Bottle Designing and Card Game on How to Splice Genetic Circuit Correctly. In order to make the activity more impressive and more in-depth, we also designed 100 simple questions related to synthetic biology. Every one present showed great interests in our Biology and we took this advantage to advertise what is modern biology. 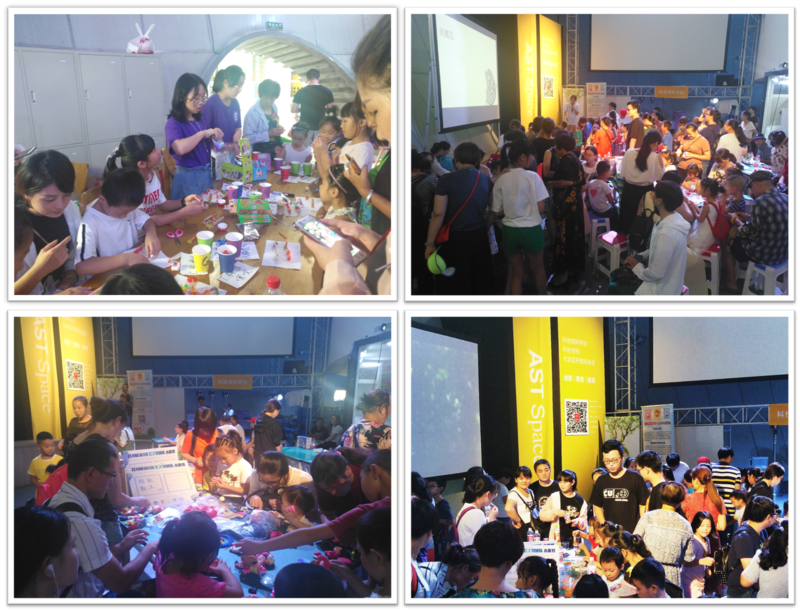 We were delighted that the public showed great enthusiasm on biology! Considered as the bridge to link the profound science and the public together, popularization of science activity is really meaningful. Techfest attracted hundreds of parents and children to join in. Meanwhile, to investigate the public concerns about the cell-containing diagnosis system and cell-free systems from adults, we conducted a questionnaire survey. OneYouthTalk is a speech conference for undergraduates to talk and share their diverting but serious and helpful ideas. 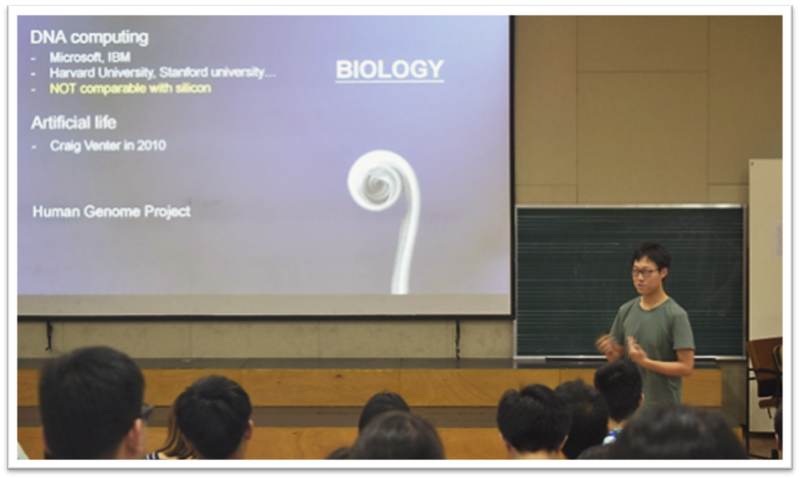 We gave a speech on what is iGEM, who is ZJU-iGEM, and had a profound discussion about several issues in synthetic biology. OneYouthTalk x ZJU-iGEM is really an incredibly magical interaction!Synthetic Biology, characterized by creativity, curiosity, crossed interdisciplinary, will be the next revolution for the whole human beings. DNA computing, a totally different way to think out of the ‘silicon’ box, will probably be the next information computing wave! Artificial life, cloning of animals Dolly in 1996, though far not applicable, still a brand fancy angle to explore the unknown world! Human Genome Project, the post-genome project is on the road, a brand-new age is coming to us! How thrill we are to explore the rest of our world and to discover the unknown! As iGEMers, we also discussed when immigrating to Mars, how to live and settle down as a synthetic biologist instead of a botanist. We also concerned about the freshness of our fruit (See ‘FRES(H)’, Fruit Ripeness Ethylene Sensor (Hopefully), USYD-2016). iGEM projects were and are making unprecedented possibilities to give out solutions aiming to different fields of dilemma. 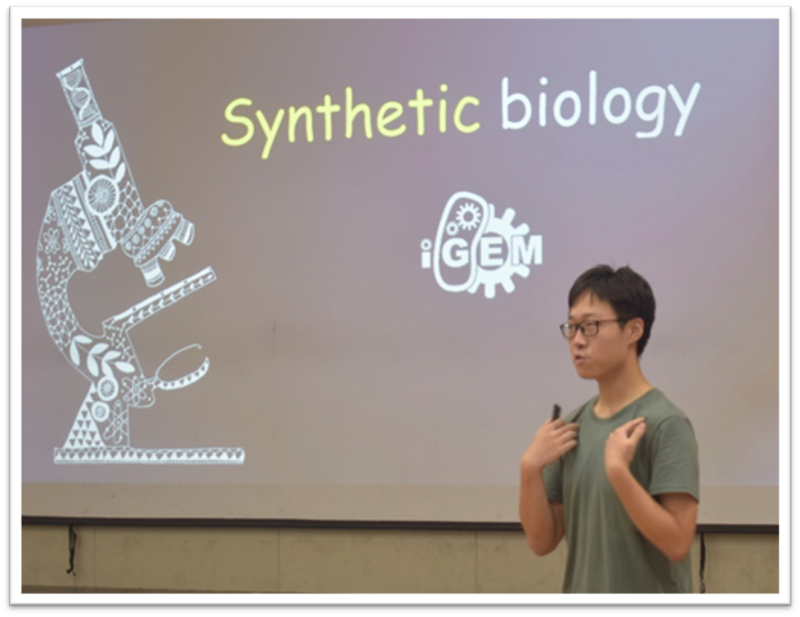 Combined with Synthetic Biology, ZJU-iGEM delivers the principles of biological and ethical criterion of iGEM competition to publics through OneYouthTalk. The considerations of biosafety and public engagement also invisibly lead our team to step further in our next activities for popular science! Thanks for the active participants, we were really encouraged and will definitely enroll in the activity again next year!